Wat is dit voor site? Wij zoeken de goedkoopste boeken op internet. 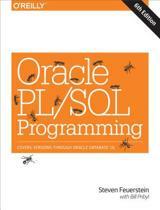 Oracle PL/SQL Best Practicesvonden we het goedkoopst op Bol.com voor €11.97. We hebben gezocht in nieuwe en tweedehands boeken. Rechtsonderaan de pagina kan je het boek direct bestellen	via Bol	.com. 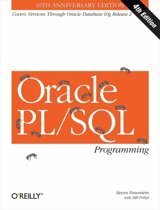 In this compact book, Steven Feuerstein, widely recognized as one of the world's leading experts on the Oracle PL/SQL language, distills his many years of programming, teaching, and writing about PL/SQL into a set of best practices-recommendations for developing successful applications. 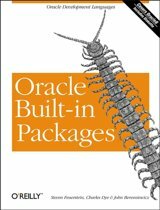 Covering the latest Oracle release, Oracle Database 11gR2, Feuerstein has rewritten this new edition in the style of his bestselling Oracle PL/SQL Programming. The text is organized in a problem/solution format, and chronicles the programming exploits of developers at a mythical company called My Flimsy Excuse, Inc., as they write code, make mistakes, and learn from those mistakes-and each other. What is the best way to write the SQL logic in my application code? How should I write my packages so they can be leveraged by my entire team of developers? How can I make sure that all my team's programs handle and record errors consistently? 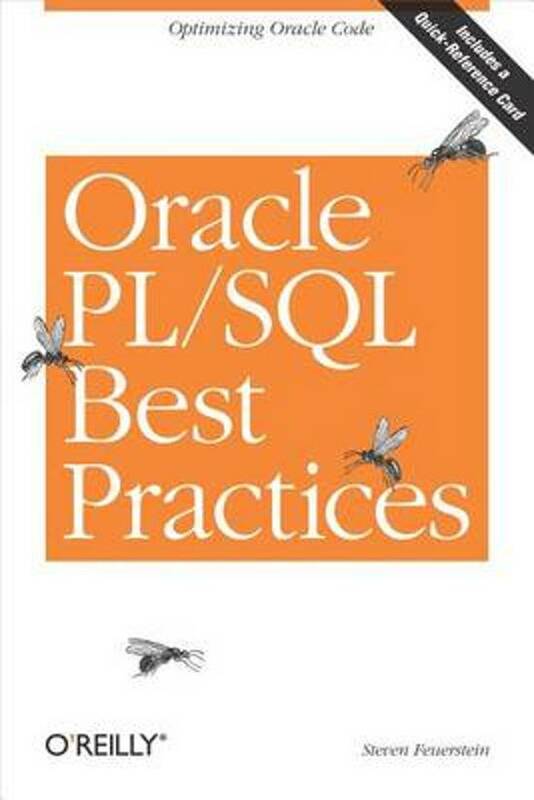 Oracle PL/SQL Best Practices summarizes PL/SQL best practices in nine major categories: overall PL/SQL application development; programming standards; program testing, tracing, and debugging; variables and data structures; control logic; error handling; the use of SQL in PL/SQL; building procedures, functions, packages, and triggers; and overall program performance. This book is a concise and entertaining guide that PL/SQL developers will turn to again and again as they seek out ways to write higher quality code and more successful applications.